Last week, we mentioned that in late December 2014, there were two Court of Appeal decisions handed down on the same day regarding acquisitions of open space land at Tempe. This week, we consider the other judgment delivered: Sydney Water Corporation v Marrickville Council  NSWCA 438. 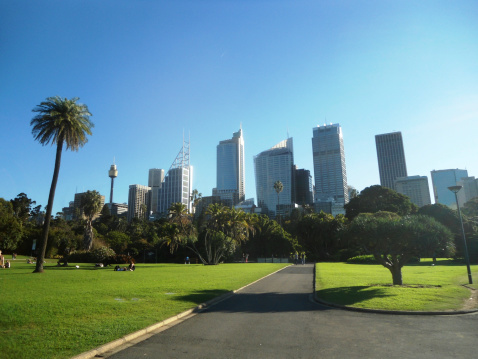 The judgment of Basten JA in Sydney Water Corporation v Marrickville Council  NSWCA 438 has added some further points for consideration when open space is compulsorily acquired, and the land is being valued under the Land Acquisition (Just terms Compensation) Act 1991. Basten JA’s judgment critiques the underlying assumption used by both valuers on the role of comparable residential values when valuing the acquisition of open space lands. The Court also made no order as to costs with each party to bear their own costs. The matter concerned an appeal from Justice Biscoe’s determination of compensation for the Sydney Water Corporation’s (Sydney Water) acquisition of easements over land owned by Marickville Council. The easements were acquired for the purposes of a water pipe, north of the Tempe Reserve (discussed in last week’s blog), and adjacent to the Alexandria Canal. The amount determined by Biscoe J was $1,634,000. The easements involved an elevated pipeline above the surface of the land running in a corridor close to the canal. The easement land was held by Biscoe J to have been totally sterilised whereas the residual land was held to have reduced in value by 40 percent. During the primary proceedings, the valuers for each party agreed to a number of valuation principles in valuing the easements, namely the ‘piece meal’ method. The parties’ valuers diverged in relation to the square metre value of the land wholly or partly sterilised by the easements. Both parties appealed, challenging the valuation methodology adopted by Justice Biscoe. Are residential comparable sales valuable? Accordingly, valuers of open space will need to carefully bear in mind Basten JA’s emphasis on the need to value the land acquired (in this case open space), rather than assuming too readily that a valuation of open space occur by drawing on the value of replacement land. This issue was not addressed further because such an argument was not mounted on appeal. the fact that there was agreement on the applicable methodology… is a powerful indication that no error of law was involved in the present case”. Various adjustments from the valuation submissions of each side were made by the primary judge. Leeming JA held that although the reasons for making these adjustments were “contestable”, they were nevertheless “rational” and no error of law in the approach had been taken. This was despite submissions by Sydney Water that if the errors of principle were not identified, they would “operate as a principle that could be picked up in subsequent cases and so on”, and therefore a “statement of valuation principle in that sense can have some ongoing effect as though it were a principle of law or a principle by which to exercise a statutory power to determine compensation”. “transparent and rational, albeit undoubtedly contestable, to bring points of distinction to account. In doing so, the Court of Appeal held that “no error of law was disclosed”. Reflecting the comments made by the Court of Appeal in the Tempe Reserve Trust decision in respect of costs, given the absence of success of any moving party, the Court of Appeal held that there be no order as to costs, and that each party bear their own costs of the appeal and of the cross appeal. This order reinforces again that appeals on compulsory acquisition matters will not necessarily result in the dispossessed land owner’s costs being paid for by the acquiring authority.